The only way to reach Naval Station Guantanamo Bay Cuba, also known as “Gitmo,” is via a U.S. military flight from Andrews Air Force Base (AFB) in Maryland, just outside Washington D.C. The government operates a flight from Andrews AFB to Gitmo on Saturday mornings and from Gitmo to Andrews Saturday afternoons. Our passenger terminal group could jokingly be referred to as a “Star Wars bar scene” — an extremely eclectic mix of folks who would not normally interact. 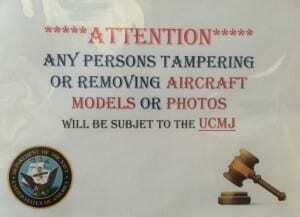 There are military and civilian attorneys and paralegals for the prosecution, defense and convening authority. There are family members of those killed on 9/11. And there are representatives from a wide range of non-governmental organizations, many human rights-based, and the media. 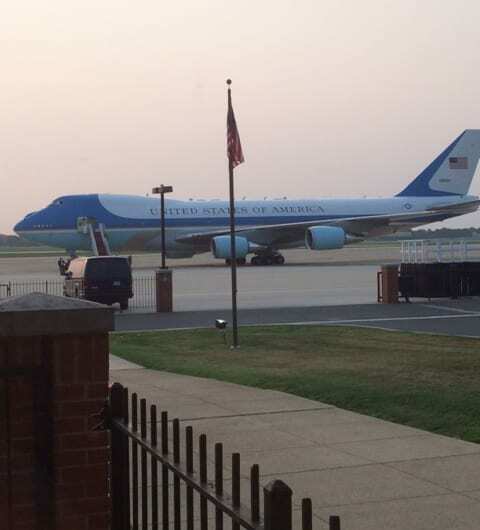 Despite an unfortunate lack of any food, and more importantly, no coffee, there are worse places to sit around than Andrews AFB. Our view on this day is Air Force One, which was there awaiting the arrival of President Obama. 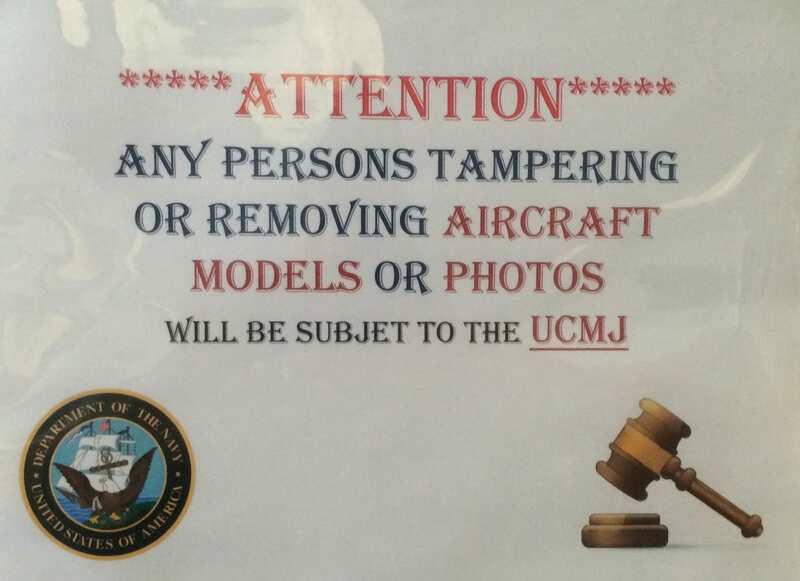 We eventually do all the normal things done at an airport, just with the military. We receive a boarding pass, go through security, load a bus and drive along the tarmac. The first-timers to Gitmo, me included, weren’t sure what kind of plane we would be on. Turns out flights to Gitmo are on Sun Country Airlines, a civilian U.S. airline. We’re told to sit anywhere on the plane after the first seven rows, which are reserved for 9/11 victims’ family members. 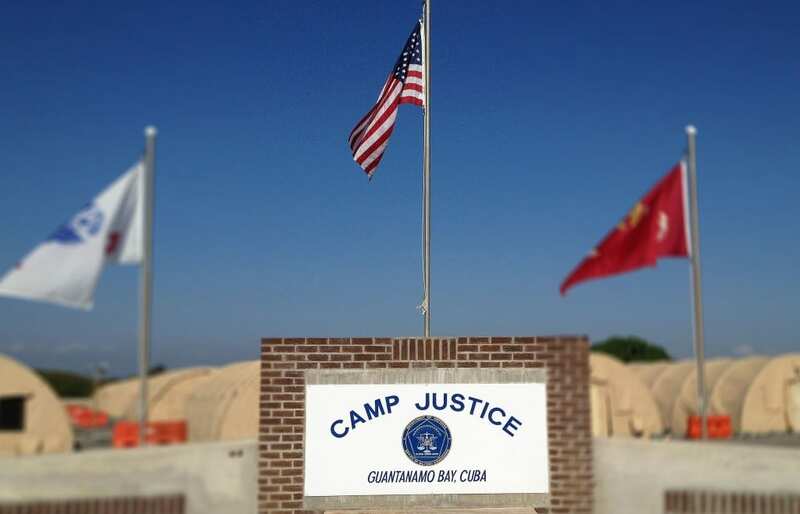 Because there were so many victims (2,976) the family members who want to observe proceedings enter a lottery from which a small number are chosen to visit Gitmo for a week. Other than flying on an airline no one had ever heard of, the roughly three-hour flight was uneventful. We land in Cuba, “the pearl of the Antilles,” at a small military airfield, Guantanamo Naval Air Station. 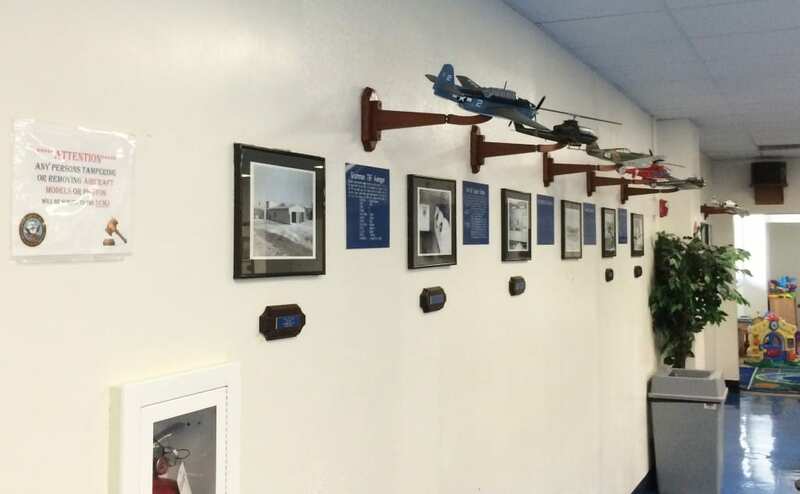 Historic plane models and photos at the Guantanamo naval base airport are not to be touched. See sign below. Tall U.S. flags fly around the naval station, where an old cannon represents the base’s Spanish-American War origins. We load into vans and head to a ferry, which takes us from one side of Guantanamo Bay to the other. 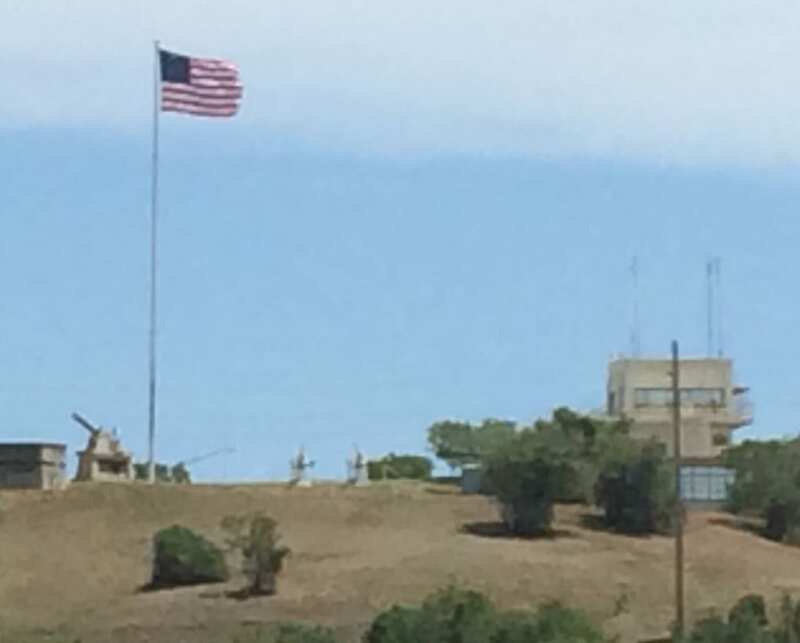 As we approach Naval Station Guantanamo Bay we see the first of the exceedingly tall and large U.S. flags that fly around the base. We also see an old cannon, harkening to the base’s origins following the Spanish-American War, which I’ll write more about later. 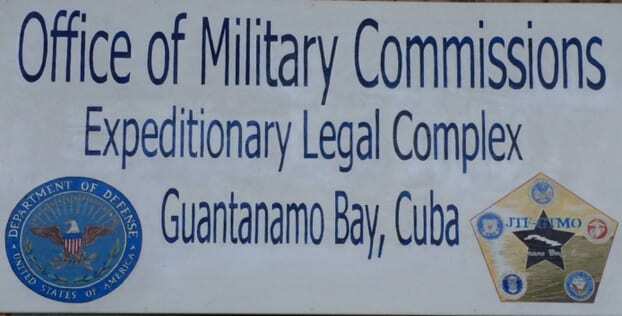 Once we reach the other side it’s a short drive until we reach our destination, the Expeditionary Legal Complex, where the military commissions take place. — C.J. Next up: Life at Camp Justice.